Here are some winter kisses from the Mr. & Mrs! Treat your guests to a sweet treat with a personal touch. 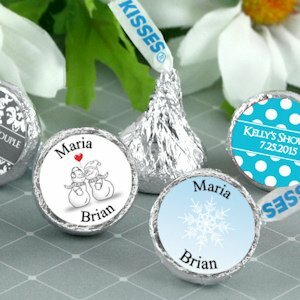 Personalized Hershey's Kisses make lovely pre-dinner treats for your guests, or place 5-10 Kisses in a favor box or bag for them to take home! 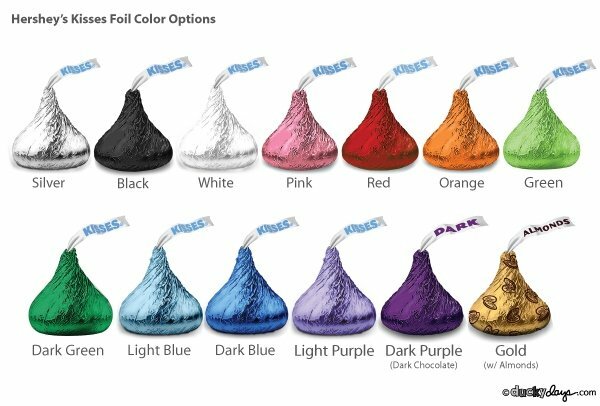 Each Hershey kiss has a round label on the bottom that can be personalized with up to 2 lines of text and fun winter design of your choice. NOTE - the minimum order is 100 kisses per design.